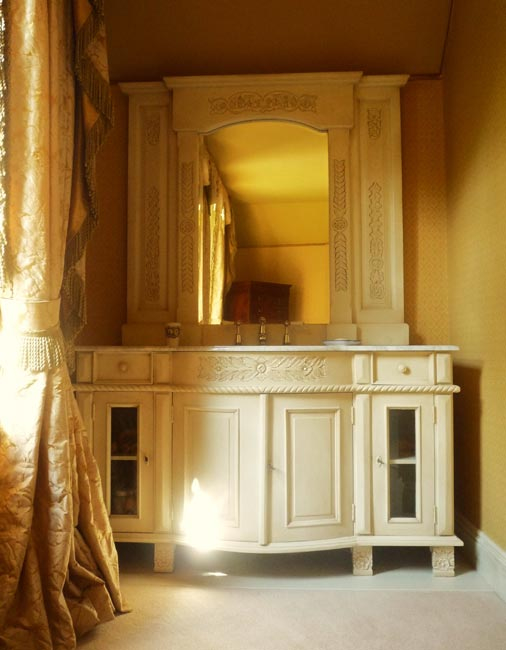 The first two pictures show a antiqued washstand that I hand painted and which took pride of place in the homes main en-suite bathroom. 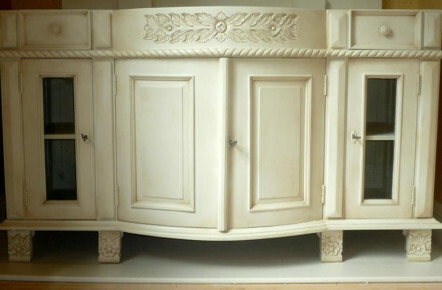 Originally white, it was re-painted cream and then antiqued with a raw umber glaze. 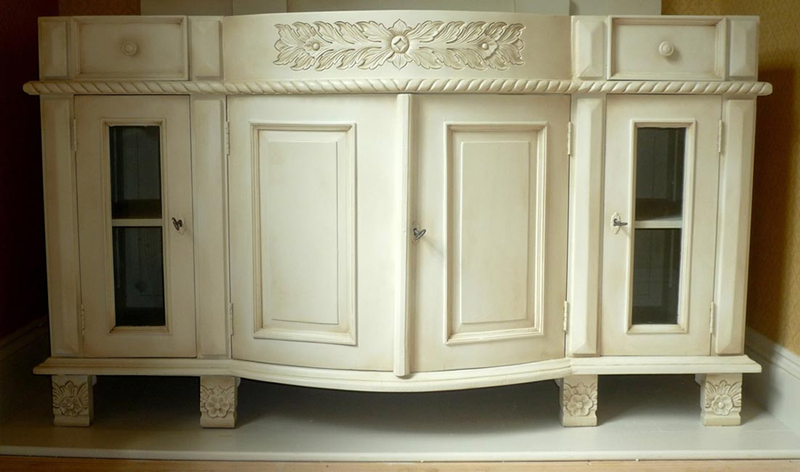 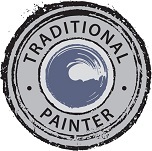 The beauty of an ‘antiquing’ paint finish is that it enhances any moulded or carved area, giving it depth and making it into even more of a feature. 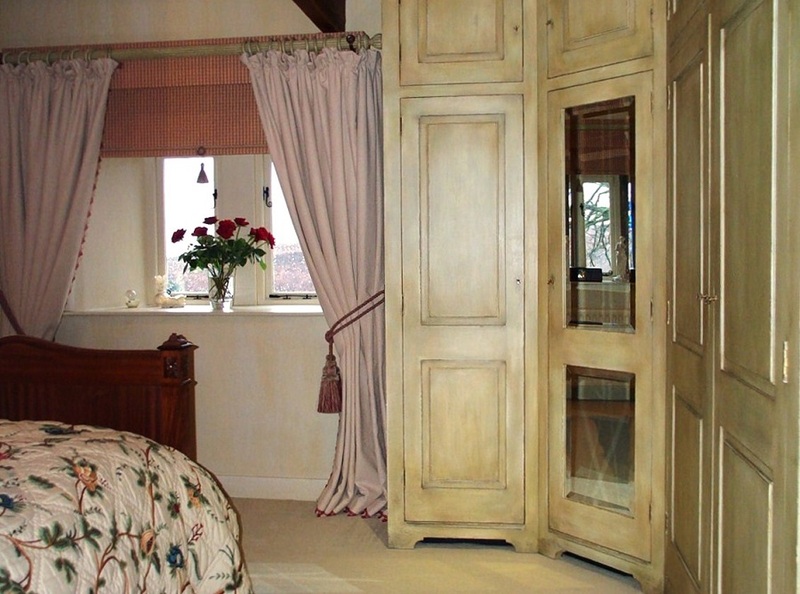 The next two pictures show a hand painted furniture project that was commissioned by a lady who wanted her bedroom furniture to have a ‘shabby chic’ feel. 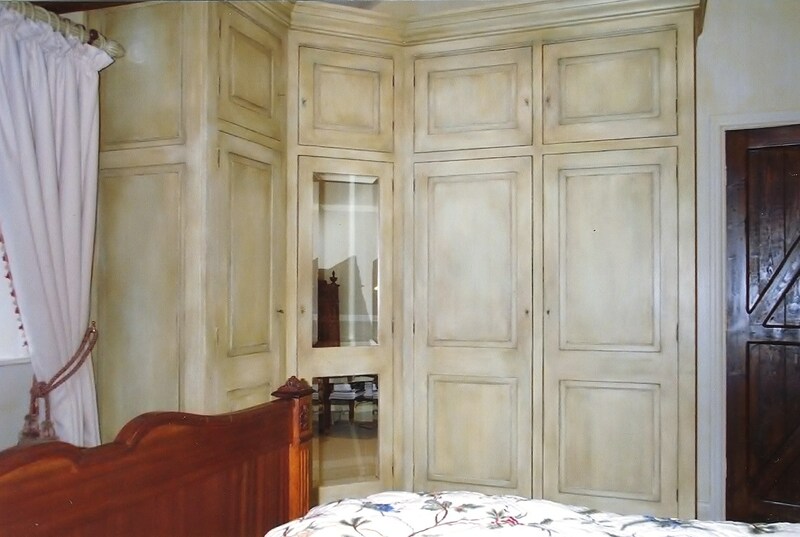 Originally plain wood, I painted, distressed and antiqued the wardrobes to give then an authentic aged look and add a rich patina to the surface.